There are six species of mice and two species of rat that are native to Illinois. The house mouse and Norway rat are not native to Illinois. 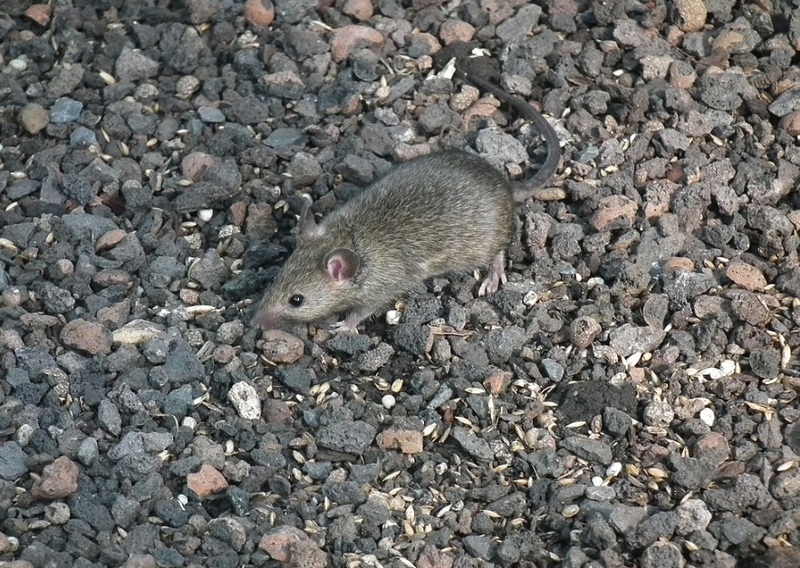 Mice and rats serve as an important part of the food web. Predators such as owls, hawks, coyotes, foxes, mink, weasels and many species of snake rely on mice and rats as a main food source. There are several species of mice and rats in Illinois. The species most likely to cause problems are the house mouse, deer mouse, white-footed mouse and the Norway rat. The house mouse and Norway rat are not native to Illinois. House mouse (Mus musculus): The house mouse is a gray-brown mouse with a nearly hairless tail that is as long as or longer than the body. They are typically 5.5 to 7 inches in length including the tail and weigh 0.5 ounce. Deer mouse (Peromyscus maniculatus): The deer mouse has a grayish-brown to reddish-brown back and white undersides. The upper surface of the tail is the same color as the back and the underside of the tail is white. The tail is one-third to less than one-half the length of the body. Deer mice have large, black eyes and large, nearly hairless ears. The feet are white. They are typically 6.5 to 7.5 inches in length including the tail and weigh 0.5 to 1 ounce. 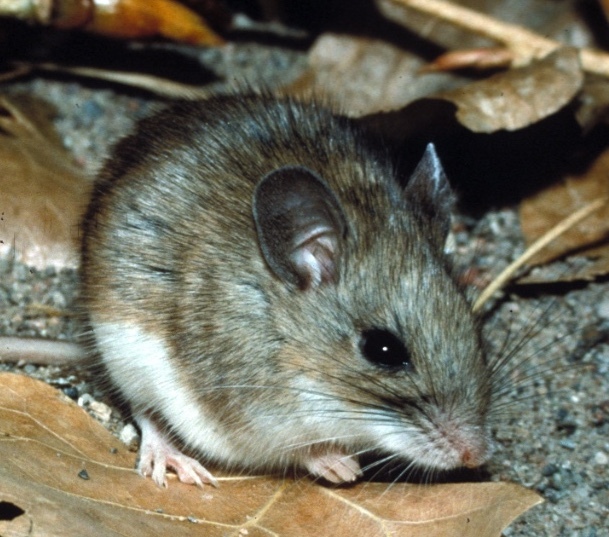 White-footed mouse (Peromyscus leucopus): The white-footed mouse can be difficult to distinguish from the deer mouse, as the coloring of the two species is the same. White-footed mice are typically slightly larger than deer mice, with a tail that is about half the length of the body. They are typically 6.5 to 7.5 inches in length including the tail and weigh 0.5 to 1 ounce. Eastern woodrat (Neotoma floridana): Eastern woodrats are state endangered and found in only seven counties in southern Illinois. They have brownish gray fur on top and white fur underneath. Their tails help identify them since they have brown fur on top and white fur underneath. The tail is about as long as the body. They are similar in size to Norway rats. Norway rat (Ratus norvegicus): Norway rats have coarse, brown fur, with lighter fur on the undersides. The ears and tail are nearly hairless. They are typically 12 to 18 inches long including the tail and weigh 10 to 16 ounces. 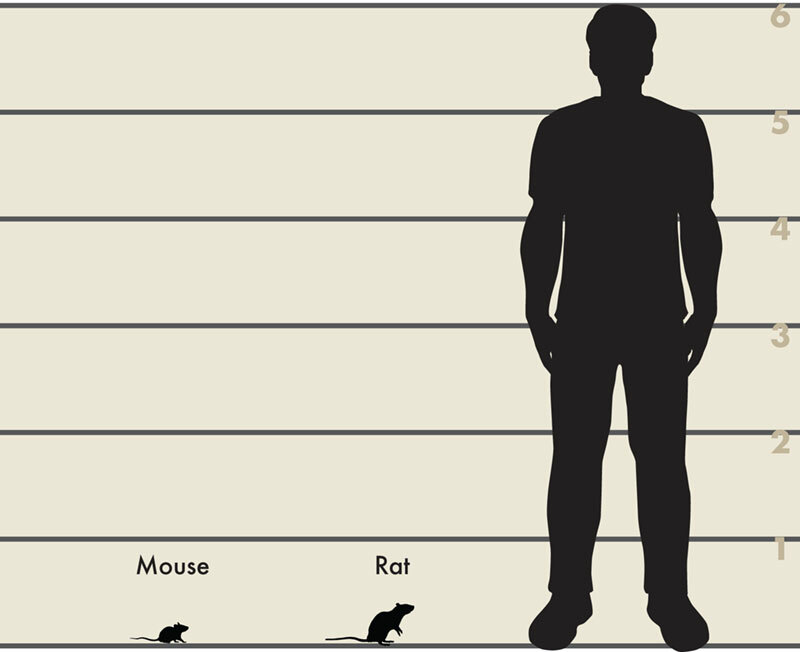 Size comparison of a six-foot tall foot man, a rat and a mouse. 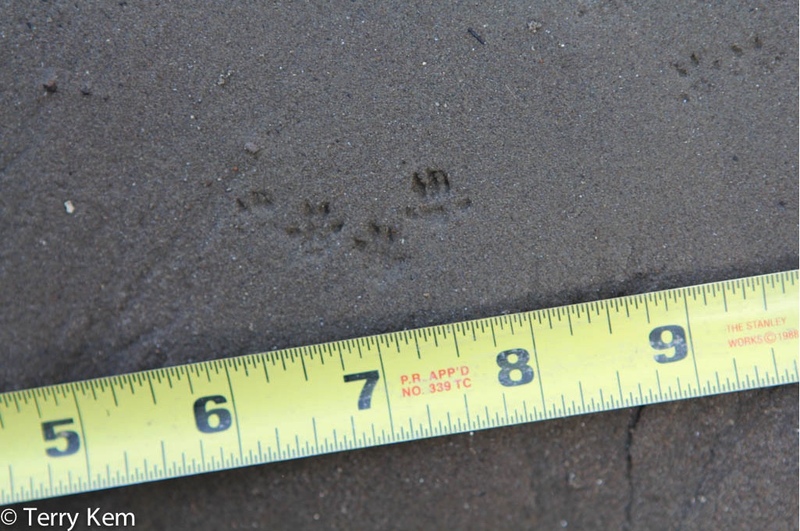 Deer mouse tracks next to a tape measure. 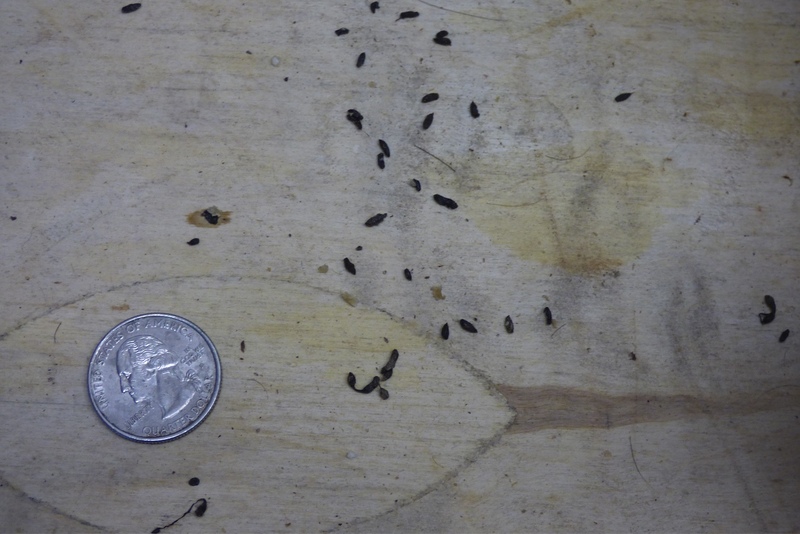 Mice and rat droppings are small, dark, and cylindrically shaped. 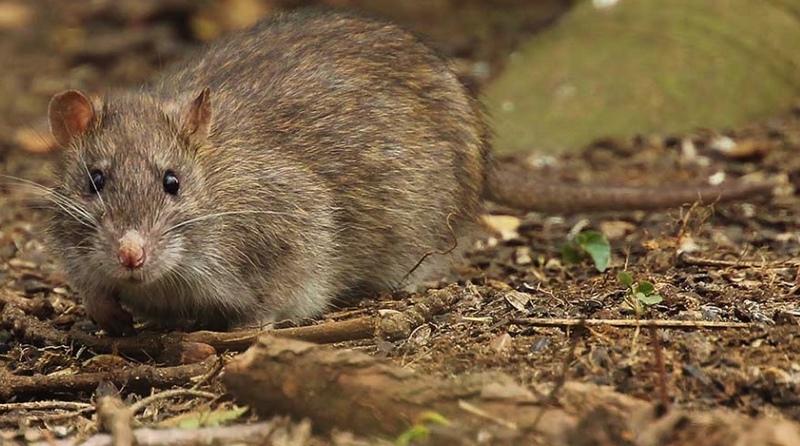 Norway rats leave droppings that are about one-half inch to three-fourths inch long with blunt ends. Mice leave slender, pointed droppings that are about one-fourth inch long. Mouse droppings with a quarter nearby for scale. The house mouse and Norway rat were introduced from Europe. Deer mice, white-footed mice and Eastern woodrats are all native to Illinois. Except for the woodrat, which is endangered and found only in southern Illinois, the other species are common and abundant throughout Illinois. Populations of deer mice and white-footed mice do not commonly overlap due to their preference for different habitats. These species are nocturnal (active at night) and are not commonly seen. Their presence is typically detected by the presence of their droppings, holes chewed into bags and containers, and chewed nesting materials. Mice and rats are important food resources for foxes, coyotes, owls, hawks, and other predators. Wild mice and rats can be carriers of Hantavirus. The house mouse is not known to carry Hantavirus. Mice and rats can also carry salmonellosis, leptospirosis, and tularemia. White-footed mice are an important host in the lifecycle of the deer tick, a carrier of Lyme disease. Although rats can be a carrier of bubonic plague in the western United States, that disease is not found naturally in Illinois. House mice and Norway rats are common around human residences and industrial and commercial areas. House mice are also common in agricultural fields with ground cover nearby. Deer mice are common in open habitats such as pastures, agricultural fields and field borders, and are sometimes found near buildings. 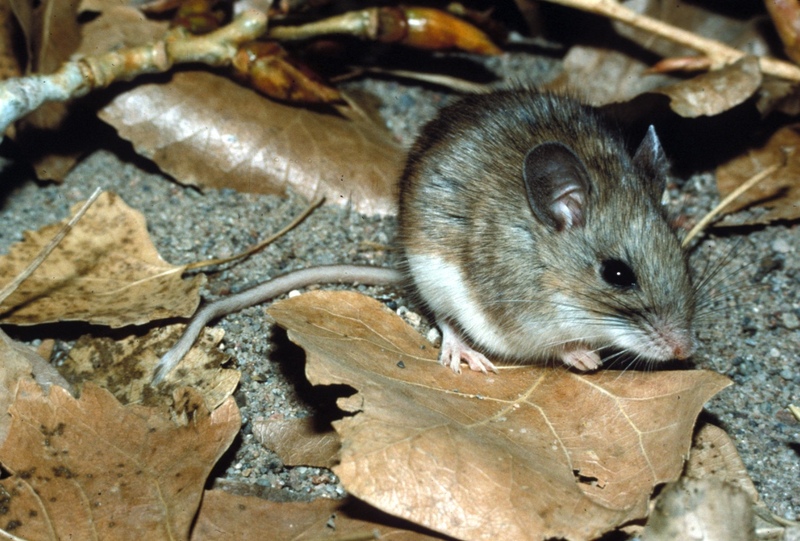 White-footed mice are common in forest edges and may inhabit homes built in or near wooded areas. All five species are omnivorous, meaning they eat plant and animal material. The main food sources are seeds, nuts and berries. Insects are also consumed. In a human environment, the rodents will consume almost any food to which they have access. They also often chew on inedible materials such as books, soap, wiring and cans. All three species of mice have multiple litters per year and produce an average of four to six young per litter. The young mice mature quickly and are able to reproduce within two months. The Norway rat produces six to eight litters of six to nine young per year. The young are able to breed before they are four months old. Mice typically live less than one year. Rats may live up to three years, but a lifespan of one and a half years is more common. The house mouse and Norway rat are the rodents most often involved in building infestations, contamination of food, and other public health concerns. Large infestations are best corrected by a professional exterminator. The following websites provide information on controlling mice and rats. The information provided for the house mouse is also applicable to deer mice and white-footed mice. The native deer mice and white-footed mice often move into buildings in late fall or early winter. The Illinois Wildlife Code does not protect house mice, deer mice, white-footed mice or Norway rats. They may be removed without a permit from the Illinois Department of Natural Resources. 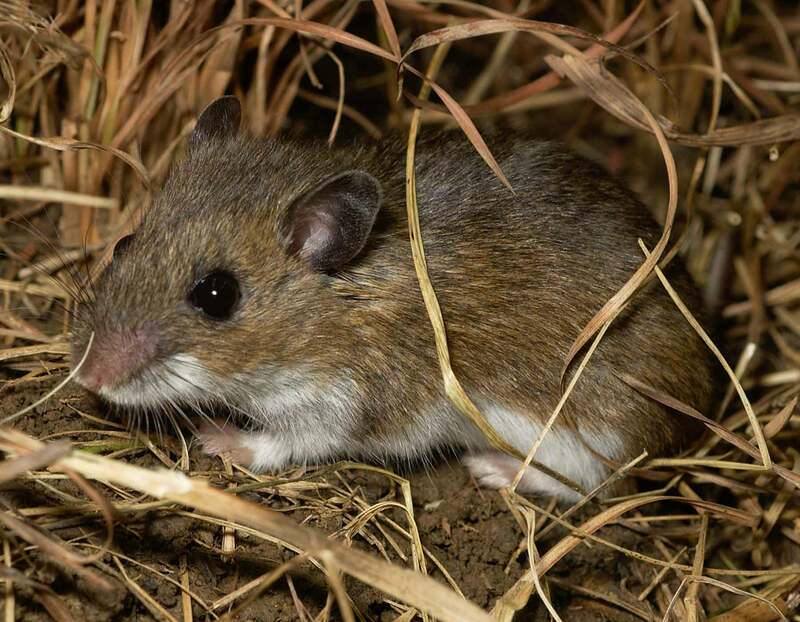 As the range of the eastern woodrat slowly expands across southern Illinois, it is possible that these animals may seek refuge in or near domestic structures such as homes or out-buildings located in forested areas. Their feces and urine may damage wood floors and beams and they may chew on wires or metal debris. In such cases, the property owner can work with the Illinois Department of Natural Resources (IDNR) Endangered Species Program Manager to discuss safe relocation options to suitable rock outcrops.